Each day we'll take a look back at the season, position by position. 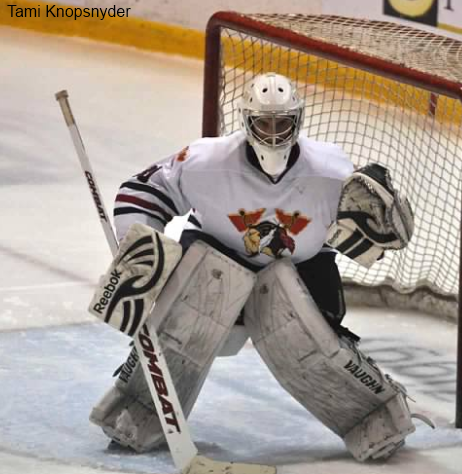 Today as the title states, we will look at the men who protected the net for the Tomahawks this season. We'll go in order of least played games to most played. McLaughlin spent all of training camp with Johnstown and was on the roster until his release on October 2nd, 2012, but only appeared in one game for the Tomahawks. Since Matt never played a game at home, I couldn't tell you if the numbers in his one appearance are misleading or if he wasn't really good enough for this level of hockey. Doing a long Internet search I could not find any information on where McLaughlin went to play after being released by the Tomahawks, if he played anywhere. Engum was one of the many players that came to Johnstown from the Alaska Avalanche team. During the season before the team relocated to Johnstown, Engum had a record of 14-8-3, with a GAA of 2.93, and a save percentage of .884. Engum though, upon coming to Johnstown, seemed to have a tough time making saves for Johnstown. One thing I noticed was how one moment he'd make a great big save only to allow a very easy goal go in next. Below shows you his game by game performance. Engum finished with a good overall Win-Loss record but had a very poor save percentage, which lead to his release on January 15th 2013. There seemed to be two Colin Brennan's this year. The first half was a Brennan that was on his A game and just what the team needed to backup Truehl. The second half was a Brennan that just couldn't get a win to save his life. The Johnstown Tomahawks made a trade with the Janesville Jets to get Colin Brennan on September 27th 2012. Until the release of Engum, Johnstown was rolling with three goalies, as Spence was waiting for a goalie to step up to be his number one. During this time, Engum's game went downhill and Brennan was the guy saving the day. In his first 11 games with the Tomahawks, Brennan posted a record of 6-3-2. In his last 11 games he went 1-5-4, and didn't get a decision in two other games. Brennan is a decent sized goalie and he has pretty good movement in net. The one problem he has is that when he falls to make a save a lot of net opens up. If he can become a little bigger in net, some of the goals he gave up this season might not go in next year. Overall, we'll give Brennan some slack, the team did go on a losing streak and was having a hard time scoring goals in that second half. If Brennan comes back next season, and with Truehl headed to college, hopefully he can become that number one guy for us. Any save percentage at or above .900 is consider good in the game of hockey. Seeing that Brennan overall has a save percentage of .906 shows that he is a good goalie and in the games he wins he is outstanding. If he can tighten up the amount of goals he allows in during losses, look out, he could be an all-star type of goalie. As we stated in another blog, just based on stats, Truehl has been the best goalie the city of Johnstown has seen since the 2005-2006 season, when Morgan Cey put up almost the same numbers. 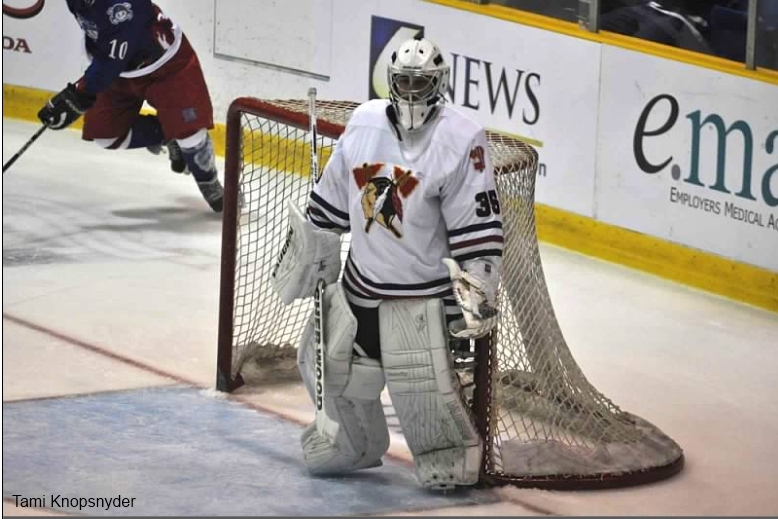 Truehl started the season as the backup goalie to Bodhi Engum, and he ended the season as the Tomahawks number one starter. Truehl is the type of goalie that'll steal your team games and he did so multiple times this season. 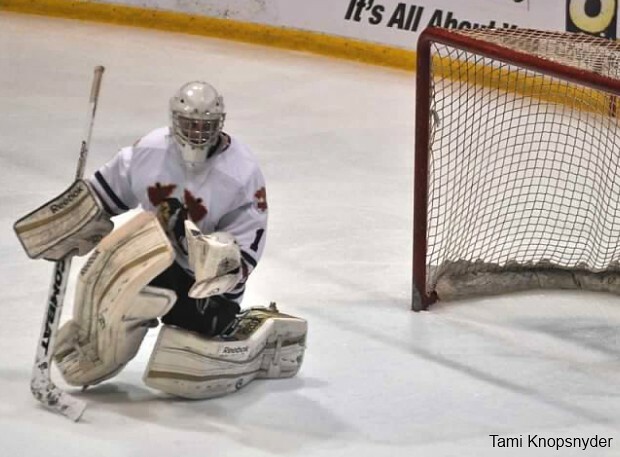 During this season, Truehl made his college commitment to Air Force, which you can read about here. Not only was his play on the ice something to watch, but his work in the community made him a fan favorite. In fact Truehl was given the "Community Award" by the fan's of the Tomahawks during the Tomahawks Awards. You can see all the award winners here. Truehl also goes into the Tomahawks' record books as recording the team's first win in franchise history, a 6-5 shootout win against Kenai River. The longest losing streak Truehl went on this season was four games. Out of those four games, he was able to get three of them into overtime. When you really look at Truehl's stats you really see just how great of a goalie he was this season. It'll be fun in the years to come to see where he's goaltending career takes him. 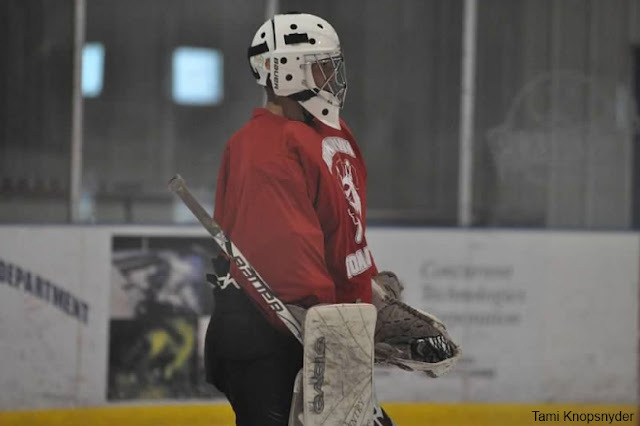 The Tomahawks have a goalie tendered for the 2013-2014, Colin DeAugustine. 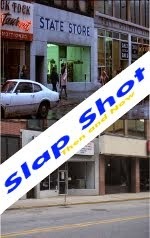 You can read our blog post about the signing here. Coming up in our next posts we'll look at the Tomahawks' forwards, Defensemen, and take our first look at what the team might look like for the 2013-2014 season. Just wanted to say I told you so about Sandor and Williams. They both age out and won't be back next season!!! I tried to tell you. I do know what I'm talking about!!! I guess I have to man up and admit I was wrong. Next time I guess I just better listen.